The National Federation of Independent Business, at a hearing before the Senate Finance Committee, warns that the move would end up reducing entry-level jobs and workers’ hours. Economic Progress Institute says studies dispute job loss argument. PROVIDENCE — The latest push to raise Rhode Island’s $10.50-an-hour minimum wage by 60 cents — to boost the pay of an estimated 19,800-plus Rhode Islanders — is facing pushback from the state’s business lobby. The NFIB describes itself as “the nation’s largest advocacy organization representing small and independent businesses,” including commercial enterprises, high-tech manufacturers, family farmers, neighborhood retailers and service companies. “The last minimum wage increase has only been in place for a month, it has been increased every year over the last three years, and now another hike is already on the table,” said Christopher Carlozzi, NFIB’s Rhode Island director. 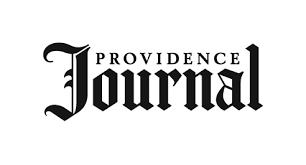 “If passed, this will mean a 23-percent increase in the minimum wage since 2016, a significant increase that many Rhode Island small businesses simply cannot afford,” he said. His argument: “Many recent studies show minimum-wage increases result in the elimination of jobs held by entry-level and unskilled workers, or reduced hours for those employees. It can also result in higher prices and the likelihood of automation for certain industries. Unfortunately, that hurts small business, their employees and consumers,” he said. But here’s another way to look at it: at $10.50 an hour, a minimum-wage worker would make $420.00 for a 40-hour work week, or $21,840 a year. Of the “many thousands of Rhode Island workers who stand to benefit from the proposed increase,″ the Institute told the lawmakers, “well over half are women.″ Most are not teenagers. And any minimum wage increase “helps reverse wage disparities for workers of color — nearly half of all black and Latino workers would benefit from an increase.” The Institute also cited studies disputing the perennial argument by business groups that wage hikes lead to job cuts. In Massachusetts, the minimum wage is already $12 an hour and set to rise to $12.75 next year on a path to $15 an hour. During the 2018 election cycle, Rhode Island unions called for raising the minimum wage here to $11.50 an hour in 2020 and inching up, from there, to $15 an hour. In the weeks since the 2019 legislative session began, a number of bills seeking to top Democrat Raimondo’s minimum-wage proposal have been introduced. One bill co-sponsored by Senate Judiciary Chairwoman Erin Lynch Prata, Senate Finance Chairman William Conley, and Senate Majority Whip Maryellen Goodwin, among others, would raise Rhode Island’s minimum wage to $11.50 on Jan. 1, 2020, and to $12.50 an hour on Jan. 1, 2021. State Rep. David Bennett, House Labor Chairwoman Anastasia Williams and others have introduced a matching bill in the House. Elizabeth Suever, the lobbyist for the Greater Providence Chamber of Commerce, came to the hearing with this argument: “We need to do an economic study and figure out what the cost of living in Rhode Island is, relative to the national average and relative to our neighbors.” By scouring websites created for people moving across the country, she said, she learned: “Overwhelmingly Rhode Island is ranked much more similarly to Connecticut” — where the minimum wage is $10.10 — than Massachusetts.